6mbBangingTheFarSide The MCT get measured at over 270mp at Norco doing tight loops in smooth air listen for the banging noise on the far side of the grove. 6mbCrazyLoop The MCT does a loop at about 200-250 mph. 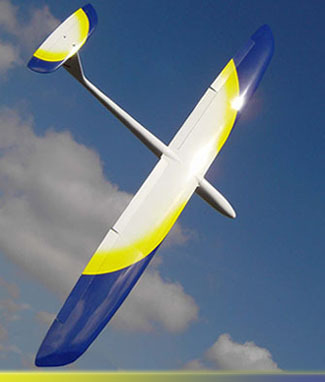 Opus MCT is RC-Direct.com latest's high performance DS glider. Basically the same glider as the Opus MC3 or MCV with a T-tail and a stronger fatter fuse. With it's all carbon extra beefy, molded pre-finish fuselage, wings, and stable T-tail you will find yourself DSing with more confidence than ever. The Opus line has a wide flight envelope, capable of both standard DS up thru high speed 250mph and faster dynamic soaring. You will not find any better finish on another commercial glider, the finish is pre painted in the molds giving you the flawless finish you expect from a high end molded sail plane.